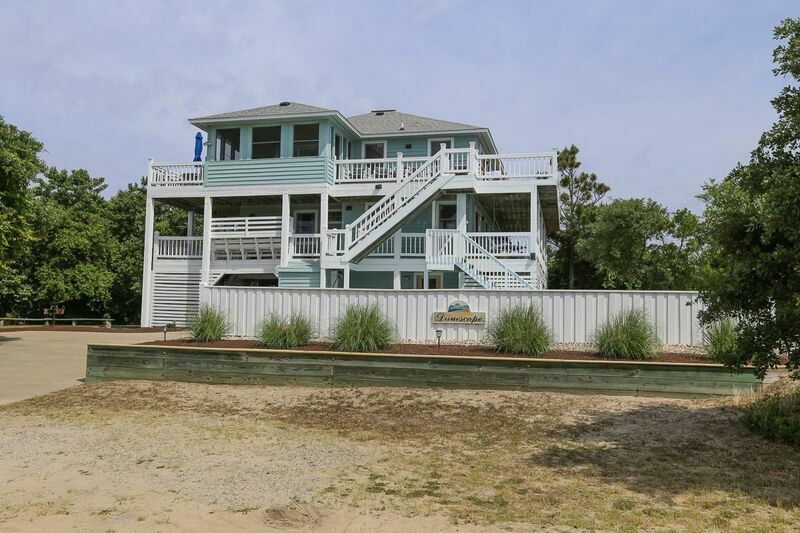 Perched high on a dune with gorgeous ocean views, the beach access is only 150 yards from this corner lot. The decor is both cheerful and comfortable and larger families will have room to spread out. Bedroom (with 2 Bunk sets and 1 trundle with flat screen TV/DVD player), with full bath with direct access to pool and hot tub. Recreation room with 37" flat screen TV/DVD player, 2 Queen futons, refrigerator. 4 bedrooms (master bedroom with King, 20" flat screen TV/DVD player and whirlpool tub; master with King, flat screen TV/DVD player; 1 with King and half bath, flat screen TV/DVD player, 1 with 2 Bunk sets with flat screen TV/DVD player), plus a full bath in hall. Great room is wide open with 42" flat screen TV/DVD player, two seating areas, and a large, open kitchen with granite countertops, stainless steel appliances and breakfast bar, dining area. A screened porch leads to decks and more decks. Half bath.